Next time you feel like popping out for a Starbucks, but are concerned the battery in your phone won’t last out, don’t worry. Following tests in early 2014, the coffee shop started to officially introduce wireless charging mats in November at 200 of its stores around the San Francisco Bay Area, saying it’s the first step in bringing out the same tech across America, Europe, and Asia. 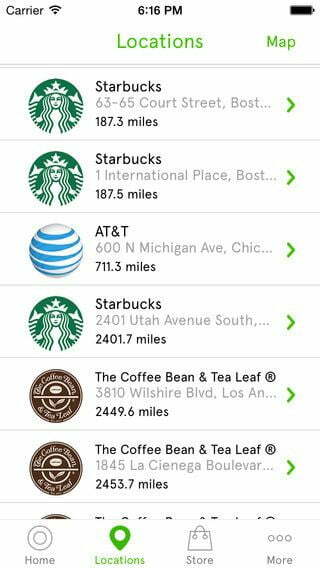 By the end of January, Starbucks visitors in the UK will be able to charge their smartphones wirelessly at a selected number of shops. The first ten locations to use the technology are all in London. They are Princes Street, Kingsway, Wardour Street, Pentonville Road, Harewood Place, Berkeley Street, Great Portland Street, Moorgate, Fleet Street, and Euston Tower. Wireless charging spots have been built into designated tables and counters – dubbed Powermat Spots – where power will flow through to any phone that’s placed on top. Well, any phone with wireless charging capabilities. If your phone isn’t one of them, Starbucks isn’t missing the chance to make some extra cash. It has teamed up with Duracell to sell or rent out Powermat Rings, which add wireless charging to those devices without the feature. A micro-USB equipped Powermat ring will cost $10, and a Lightning Adaptor model is $13 in the U.S., while in the UK, both are expected to cost £10, or about $15. It’s free if you simply borrow one. Anyone familiar with wireless charging will know the industry is split between two competing standards, known as PMA and Qi. Starbucks has opted for the Duracell-backed PMA standard, leaving the batteries inside Qi devices losing power rather pathetically. Which phones will benefit from Starbucks wireless chargers? It’s easier, but far more depressing, to list those that won’t. The Nexus 6, Nexus 5, Nexus 4, Droid Turbo, most Nokia Lumia phones, and Vertu’s phones all have Qi wireless charging as standard. On the PMA front, the website lists the Kyocera Hydro series, and a compatible replacement rear cover for the Galaxy S5. The Lumia 830 and the LG G3 stand out because they are available with either wireless charging standards, depending on which rear cover is fitted, or in the case of the G3, which operator it’s bought through. 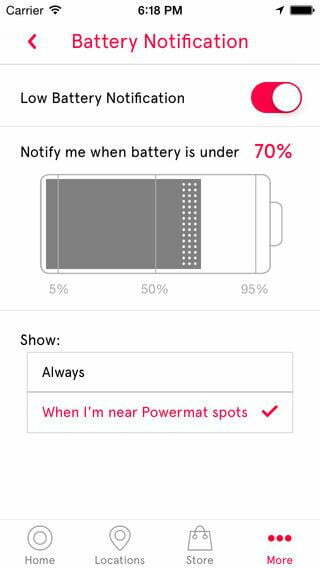 Of course, picking up a Powermat Ring will solve any incompatibility issues. 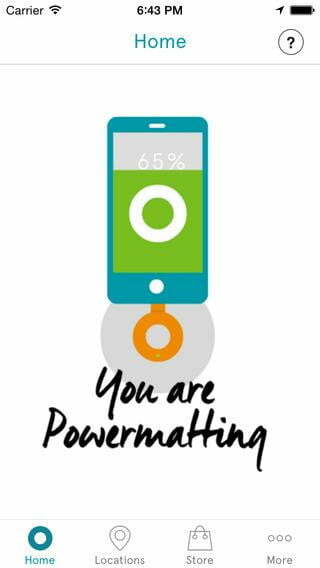 Starbucks’ decision to back PMA wireless charging could change these one-sided statistics, should the initiative prove popular. 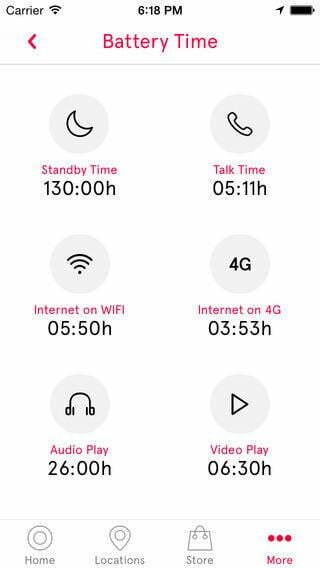 Smartphone buyers who frequent the coffee shop could be influenced by which charging standard their next phone supports, so while Qi is more common now, this could all change very soon. Powermat already offers a free app, available for iOS and Android, for finding compatible charging stations. In related news, former BlackBerry CEO Thorsten Heins has been appointed CEO and chairman of the board at Powermat. “Powermat’s on the cusp of mainstream adoption,” he’s quoted as saying; and in light of Starbucks’ announcement, he could be right.